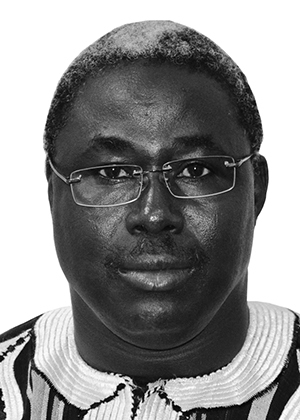 His thesis was titled “Contribution to the study of the relations between the two components of the solar magnetic field and the equatorial ionosphere.” It was defended at the Université Cheikh Anta Diop, Dakar, in October 2009.After a first thesis about the thermodynamics of African homes, Dr. Frédéric Ouattara chose in 2006 to focus his studies on the relationships between the Earth and the Sun. He participated in the International Heliophysical Year project and defended his state thesis in 2009 on the basis of six articles published in rank-A journals. He currently has 30 publications in well-known journals, such as Journal of Atmospheric and Solar-Terrestrial Physics, Annales Geophysicae, Journal of Space Weather and Space Climate, Journal of Geophysical Research, and Advances in Space Research. Citation: AGU (2019), Ouattara receives 2018 Africa Award for Research Excellence in Space Science, Eos, 100,https://doi.org/10.1029/2019EO113923. Published on 18 January 2019.